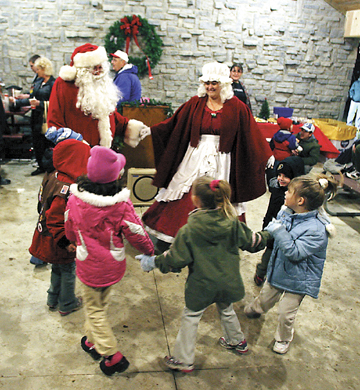 Santa and Mrs. Claus dance with children in the new shelter house at Cowling Park during London’s Old Fashioned Christmas Nov. 26. 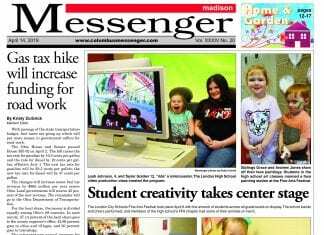 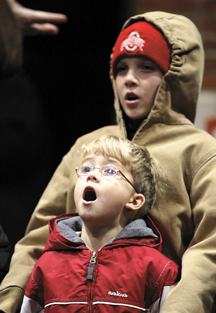 Luke Peart, 4, and Reed Rinesmith, 9, sing as part of the First United Methodist Church youth choir during the Lights of Love lighting ceremony in front of the Madison County Hospital. 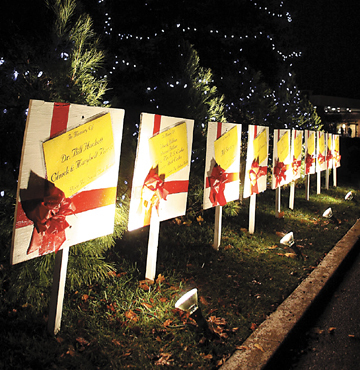 Signs and trees along the driveway at Madison County Hospital were lit for the Lights of Love ceremony. 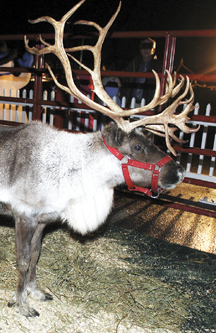 Roxy, one of two reindeers on display at Cowling Park, was brought to London’s Old Fashioned Christmas by Pine Acres Reindeer Farm of Larue, Ohio. 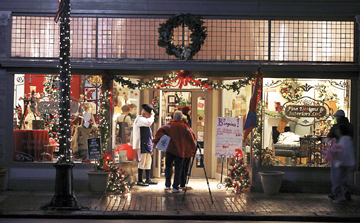 Merchants along Main Street, including Fine Designs & Interiors, were decked out for the celebration.